This is the first in a series of articles that I might title “Metaphor Monday” or something equally corny. I find that metaphors are easy and powerful ways to communicate concepts. And if that concept is actually a complex body of knowledge wrapped up within the term “procurement,” then the procurement organization needs a good pocket of metaphors ready to draw from at any moment to engage stakeholders. For example, the metaphor of the human body is a popular one, with procurement making sure the corporate body is being fed with nutritious goods and services — purchased on sale, of course. Sports metaphors are also popular, especially football analogies in male-dominated groups. Military analogies are similarly popular as well. Metaphors are the ultimate short form of a story. And people like stories. Stories are engaging in a corporate world that can seem increasingly stripped of any real meaning. Cultures yearn for ways to represent them and tell their stories. If you storyboard a successful internal project, you are really writing a story that you want to retell later. Anyone who has worked in large firm understands the power of corporate mythology and stories that get told about a founder, a current CEO, a defector and so on. Such mythology can work favorably for a firm if it embodies the brand of the firm and is hopefully instilled in the employees (e.g., the thriftiness and low-key lifestyle of Sam Walton at Wal-Mart). Technically, such “myths” are really non-fiction stories, or legends, if you prefer. 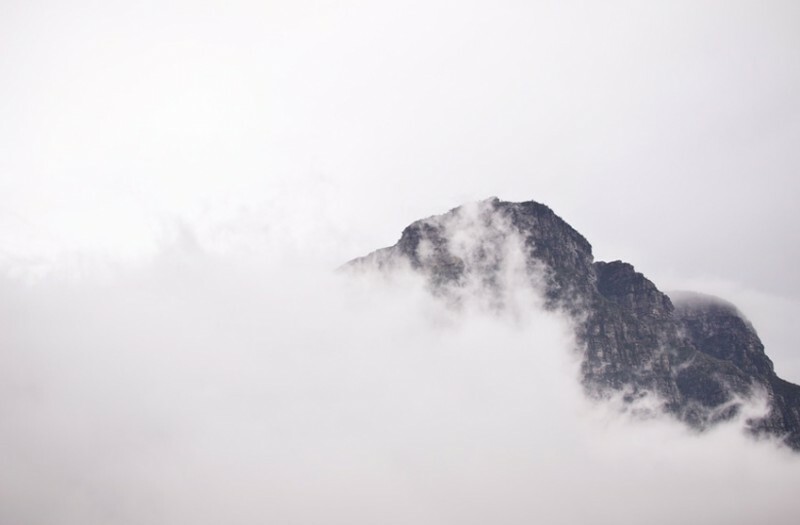 Mythology tends to be more generational and tribal — tied to a specific culture, including a work culture, in a world where work life and personal life are increasingly co-mingled. Also, myths are fictional stories, whereas corporate legend has some grounded in reality. 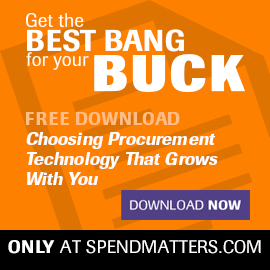 When organizations begin to pass off myths as non-fiction stories, whether intentionally or not, then it’s important to call that out like in the Procurement Myth Series I wrote last year. If you really want to dive into a proper coverage of mythology, then Joseph Campbell’s Power of Myth is a great start. Dr. Campbell’s original book, “The Hero with a Thousand Faces,” was basically about showing how the same myth, usually involving a hero, can take different forms in different religions and culture. So, my series on procurement metaphors is really about using the symbols in our modern corporate mythologies to use as a way of communicating the key stories that we want to tell. The question for procurement organizations then becomes, “What is the story of procurement that you want told — and is that the current story really being told today?” You can just replace the term “story” with “brand” and it’s basically the same meaning. For example, do you want to be the hero that comes in at the last moment to save the firm from spending too much and risking too much in a major contract? Is this the story of a firefighter or paratrooper? CEOs like to build these turnaround stories, and so do many transient and transformative CPOs. Do you want to be William Shatner’s Priceline negotiator character? 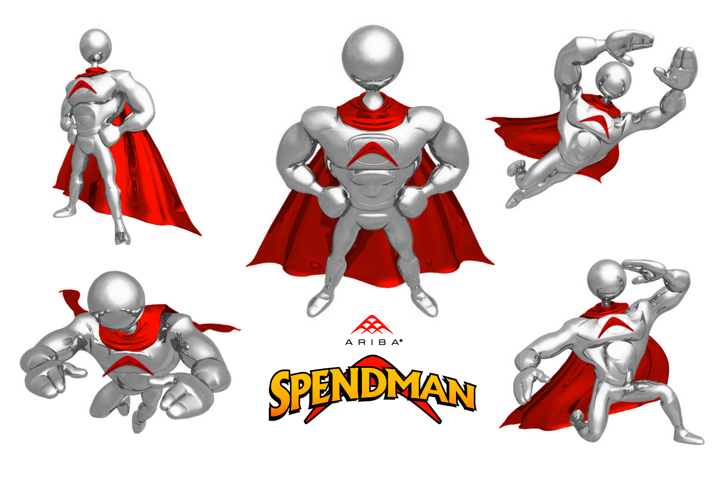 Such caricatures, and even the hero archetype itself, can become cliché, as even some e-procurement vendors such as Ariba and Coupa, embodied in their cartoon characters SpendMan and Coupa Sam. I think the biggest shift is moving away from the story of procurement not as coin-operated stockbroker incentivized transactionally on doing deals, but rather as a trusted advisor and investment manager to help budget owners managed their finite resources to maximize their returns and accomplish their objectives. (See here for more on this). As usual, I’ve deviated a bit from how I started this post related to metaphors. In future posts, I will use metaphors not just to describe procurement as a whole, but also how specific strategies or approaches can use metaphors to tap into seemingly unrelated bodies of knowledge that can prove useful to create value.